The Plaza Florencia can be found in the Cuauhtemoc borough of Mexico City. This helps to make it a very attractive Mexico lodging choice. After all, Cuauhtemoc is the historic center of the Federal district of Mexico City, and its attractions are among the best around. In addition to cultural attractions, it is home to several major businesses and government buildings and accounts for more than 30 percent of Mexico City’s GDP. Perhaps no other part of Mexico City gets more visits from tourists than Cuauhtemoc. This explains its healthy amount of hotels. 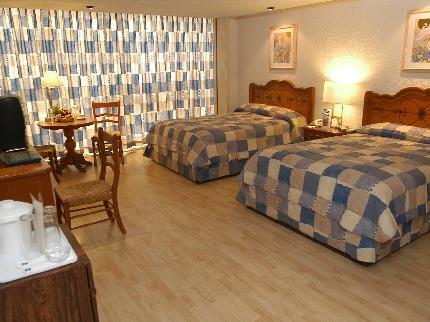 Among these hotels is the Plaza Florencia. Well-situated in the popular Zona Rosa neighborhood, the Plaza Florencia is close to a number of great attractions, including the Modern Art Museum and the Castle of Chapultepec. Also within easy reach of the hotel are the United States Embassy, the Stock Exchange, La Torre Mayor, entertainment establishments, and a host of other things. The allure of the Plaza Florencia doesn’t only lie in its wonderful location. The standard rooms and suites are tastefully decorated and feature plenty of welcoming amenities. Prospective guests can also look to book one of the affiliated PF Suites. Unlike the standard guest units, the PF Suites feature kitchenettes. In relation to the Plaza Florencia facilities, highlights include a restaurant, a bar, and a business center.